Who does not love a farmhouse kitchen??? I am actively working on my kitchen, as it takes priority in getting settled in my new home. I spend way to much time in the kitchen for me to not feel good in there. Lately Farmhouse decor is on my radar, and I mean up high! My aesthetic for this home is a modern rustic farmhouse. Being a transplanted country girl, I might be slightly obsessed. But this is the closest I'll get to admitting it. 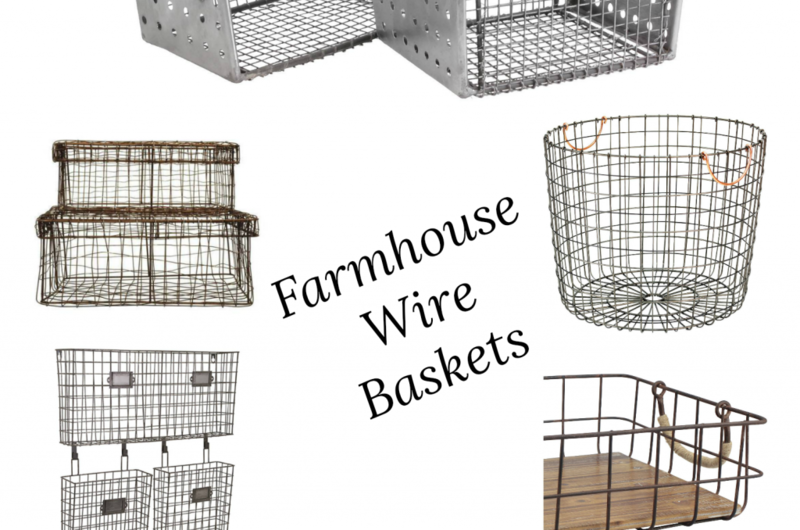 Today I am sharing some staple farmhouse kitchen items. If you don't love it already, you should after this! I just love seeing shelves lined with white dishes stacked in a way that looks imperfectly unstable for a farmhouse kitchen look. Exposed white dishes are a staple in farmhouse decor. Wire baskets are so cool! They add a great deal of texture to a farmhouse kitchen aesthetic. Whether they are used to store utensils on cabinets or organizing different kitchen elements, they are the perfect accessory. Mason jars scream farmhouse kitchen decor. They can be used for a number of things and as creative as you an get you should! Wood shelves are beautiful all by themselves. But distressed wooden shelves are AH-MA-ZING! 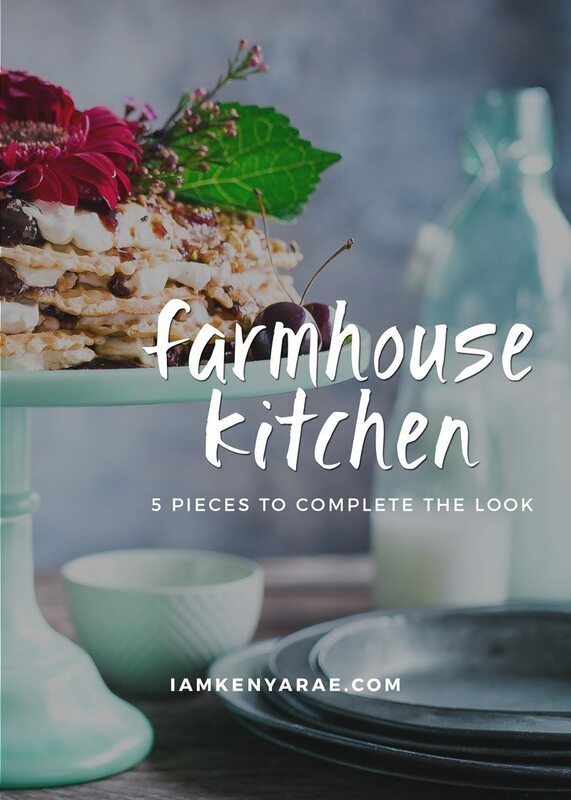 They add a cool look and texture to the farmhouse kitchen aesthetic. Wreathes are a beautiful accent peace in home decor. Particularly leave wreathes against a mirror or wood, or some contrasting texture. I am loving the leave wreaths these days! 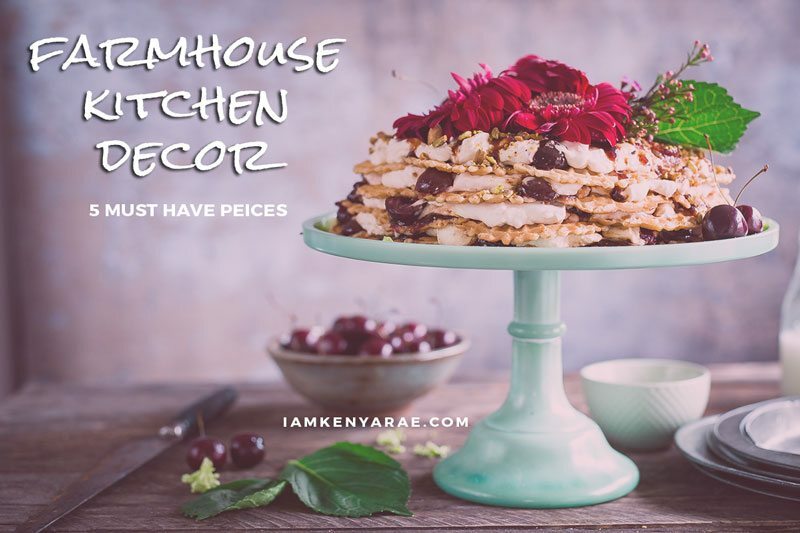 These are some of my kitchen farmhouse favorites. I'd love to hear about your decor love int he comments below. If you are looking for some additional farmhouse inspiration, check out and follow my Rustic Farmhouse Decor Board on Pinterest to stay obsessed inspired! Love how you write! Your personality shines through your words. Aww thank you I appreciate that. I struggled with that at one point, so you don’t know how much this comment means to me.